According to Moonalice legend, tonight's poster by Alexandra Fischer depicts a little known aspect of the legend: the invention of The Wheel. 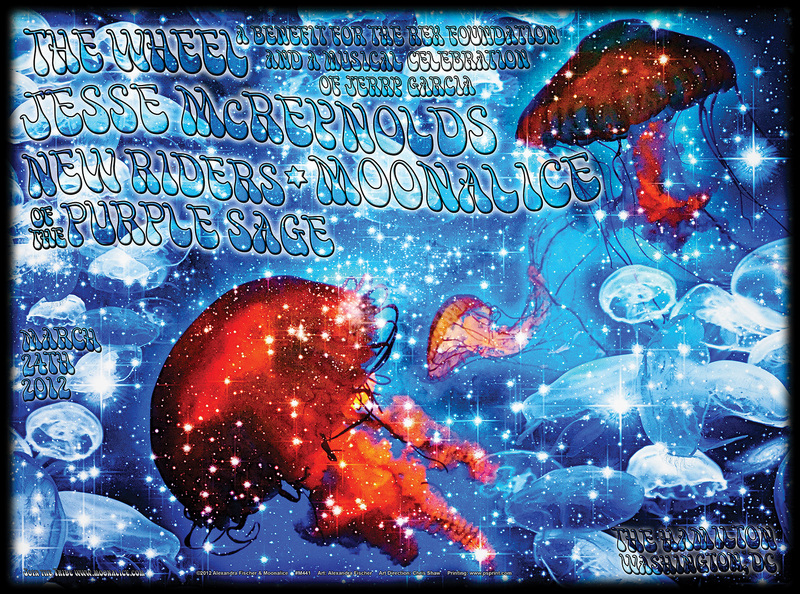 That's tight, Moonalice legend says the wheel was invented by jelly fish. They were somewhere in the salty waters of the Chesapeake not far from Washington, DC. Standing here with the evidence in my hand, it is obvious. How did we not know this? Apparently the jelly fish failed to patent their invention and some caveman from GEICO took the credit. According to Moonalice legend, stranger things happen in this town every day.